Hitachi will be at Singapore’s Biggest Farm-to-People Festival, SPROUT! Mark your calendars and head down to Singapore’s biggest farm-to-people festival on 7 & 8 July 2018! Hitachi will be bringing a green living experience to your homes. Bringing growers, producers, and the community together, Sprout is more than just a farmers’ market in the city. The inaugural farm-to-people festival was conceptualized to raise awareness and shine the spotlight on urban agriculture and to celebrate good sustainable food. 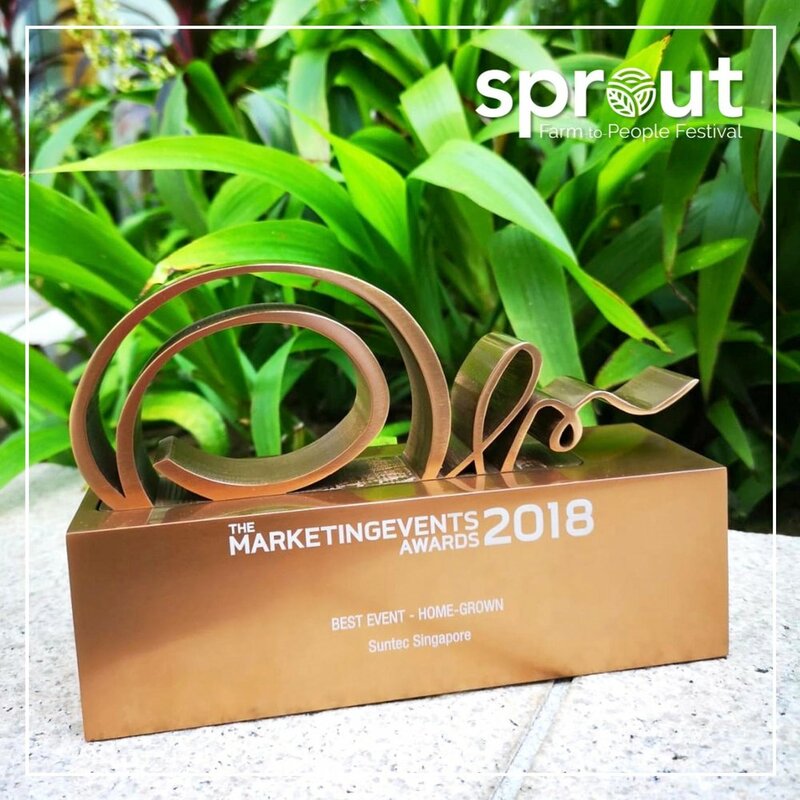 Being a sustainable-conscious brand that promotes continual green-initiatives, Hitachi is delighted to be part of Sprout. Just like Sprout does, Hitachi supports all things healthy, good, eco and green. Achieve a Green Living Experience with Hitachi! With changes in lifestyle and a rising number of households, the energy consumption of the household sector is increasing more and more. Thus, energy saving is a major concern for every household. Hitachi’s Made in Japan appliances are designed and made with the finest Japanese workmanship and cutting-edge technology, offering the ultimate green experience, functionality, innovation and contemporary design. One of the appliances that uses the most energy in our homes is the refrigerator. Hitachi develops smart human-friendly designs, advanced eco-conscious technologies and quality refrigerators to meet the needs of customers. Since September 2015, all Hitachi refrigerators have been certified CFC-free and are engineered with ingenious features and functions. To support sustainable practices even after purchasing your fresh produce directly from farmers at Sprout, having a storage appliance that advocates green practices and reduces your electrical bill makes your green journey complete. Do you know that Hitachi’s inverters are currently used on high-speed railway systems and latest hybrid cars? Its inverter technology has always contributed to the development of society and provided a comfortable living environment. At Hitachi, the appliances are engineered with energy-saving features and made to last. Hitachi washers are loaded with groundbreaking technologies and innovations for its Powered Inverter and 3-Step Eco Sensor that promise to save both energy and water as well as your hard-earned money. Powered with an inverter control, the tub and pulsator rotation speed is adjusted precisely for optimum energy-saving operation when washing small and large loads. The 3-Step Eco Sensor detects the laundry amount and fabric type in three steps, enabling optimum washing operation, effectively saving time, electricity and water. By consuming less power and reducing water consumption, you are effectively saving your hard-earned money, reducing the amount of toxic fumes released by power plants, conserving the earth's natural resources and protecting ecosystems from destruction. Just by taking steps to reduce your household energy intake, you are contributing to a healthier and happier world. To live green is to also incorporate a healthy lifestyle too! Featuring the Superheated Steam Microwave Oven where healthy cooking is made easy. With superb technology and innovations, it effectively helps reduce excess fats, salts and calories for healthier meals for you and your family. It is designed with five cooking methods enhanced with Auto Bakery mode – microwave, oven, steam, bake and superheated steam and grill, optimizing cooking according to food types. Bread lovers are able to reduce the calorie intakes with the healthy recipes provided by Hitachi with 10 menus to choose from. Homemade bread is much tastier, without preservatives, simple, and does not take much time, especially with Hitachi’s Superheated Steam Microwave Oven. Baking is made easy with the Auto Bakery function in place, you can go from kneading to baking in about 90 minutes. It is as simple as adding the ingredients into the Baking Pan and setting it in the oven. The whole kneading to baking process is fully automated in this high-performance oven. After all, we cannot be sure of what really goes into that bread you bought off the store’s shelf. Rice being a popular staple in Singapore, having good quality rice and texture makes a meal complete. Having to live green does not mean our quality and taste of food will be compromised because it is not genetically modified or artificially flavoured. Hitachi’s Induction Heating (IH) Rice Cooker produces soft, fluffy and evenly cooked rice grains, all thanks to its IH technology that cooks the rice and retains the original quality and taste of the grain. Meticulous care and thoughts are seen through the development of Hitachi Made in Japan Vacuum Cleaners. With Sustainable suction power and Sustainability above 99%, dirt is compressed by second tier boost in the vacuum cleaner which in turn prevents clogging of the filter and efficiency is increased. Hitachi Made in Japan Vacuum Cleaner comes in three different models to cater for different needs. For instance, a family that is sensitive to dust and allergens, the Allergy Care model is a perfect choice as it even picks up allergens hidden deep in fabrics and bedding linens. This innovative vacuum cleaner contribute lesser waste as no dust bag is needed. Both dust case & filter are easy to clean. Thanks to its sustainable technology, dirt is compressed, making disposal easy and allergens does not scatter during disposal. Protecting your loved ones from allergens does not end with just keeping the house surfaces clean. The air we breathe at home contributes to allergies and illnesses too. Hitachi’s air purifiers are proven effective in eliminating air pollutants such as dust, odors and smoke particles. Awarded with the Allergy UK Seal of Approval in recognition of its proven ability to reduce exposure to allergens, you know for sure that it will keep the air around you cleaner and fresher. Equipped with key features such as Allergen-free HEPA filter (captures 99.7% or more fine particles), Wide and Speedy Dust Collection, Low Noise Operation and PM2.5 sensor that senses fine dust particles. Breathe fresh and stay healthy with Hitachi! Play a part in keeping our world green and a more sustainable place to live in. Check out Hitachi at Sprout where there will be live demo at the booth and the Sprout & Cook Area where renowned chefs will demonstrate new ways to cook with local produce featuring Hitachi appliances. All Hitachi products are available on Hitachi Online Store and at all authorized dealers. Hitachi Home Electronics Asia (S) Pte. Ltd.